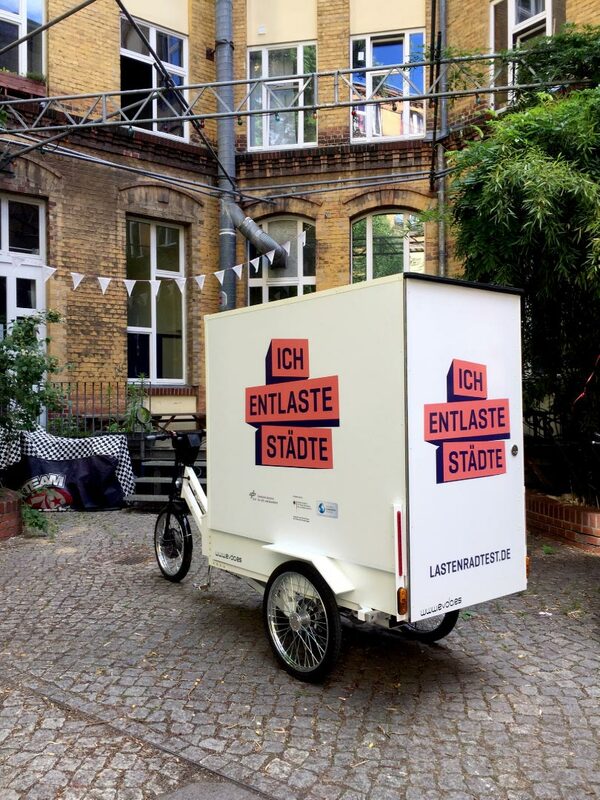 The Deutsche Zentrum für Luft- und Raumfahrt e. V. DLR) established within the project „Ich enlaste Städte” („I relieve cities”), electric cargo bikes as an innovative and environmentally friendly vehicle category in the day-to-day business of tradesmen and public institutions. The project is funded by the German Federal Ministry for Environment, Nature Conservation, Building and Nuclear Safety (BMUB) as part of the National Climate Initiative. 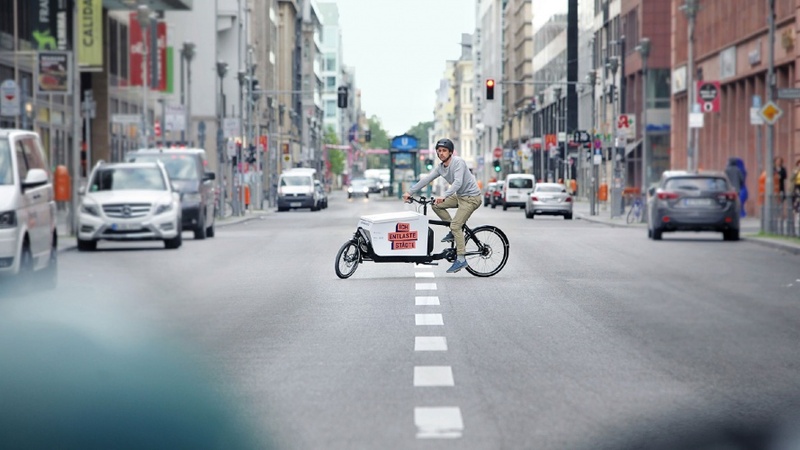 Electric cargo bikes are the intelligent and environmentally friendly alternative. Realgestalt gets to the heart of this complex topic in a handy and striking way. The goal: to induce a change of awareness. Everyone together at one table. From the beginning. Realgestalt developed the idea and the communication concept for the project including all of the involved players. First of all, a distinctive name that is both a motto, a claim and an instruction is developed. 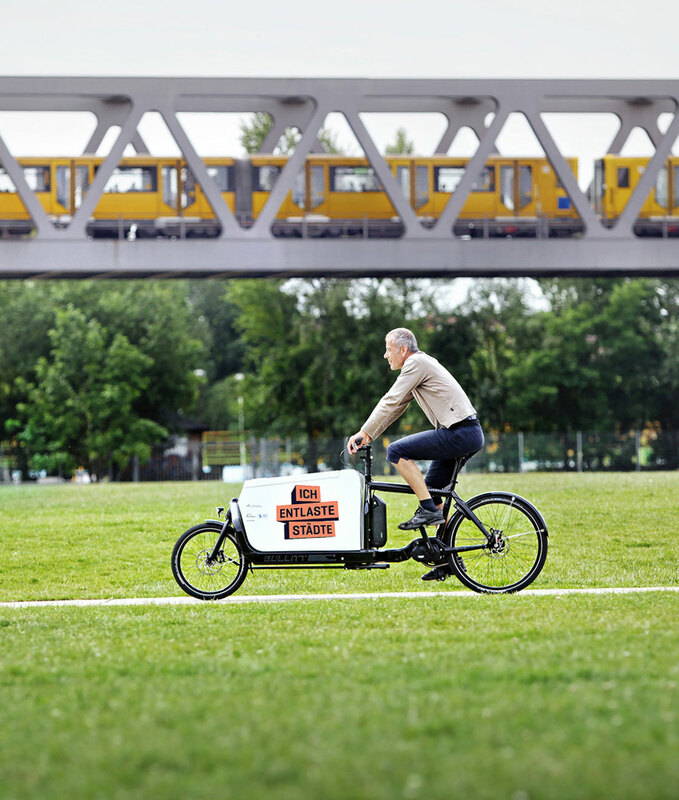 Instead of talking about CO2 reduction, the electric cargo bike itself has the say: “I relieve cities” is on one side a factual statement. On the other side it is a visionary ideal: To have more and more road users following this example and therefore make their contribution to CO2 savings. 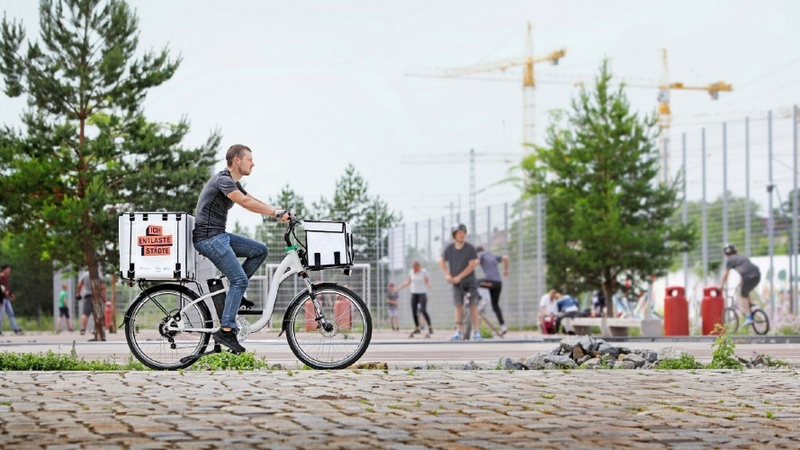 How practicable are electric cargo bikes for companies in everyday life? 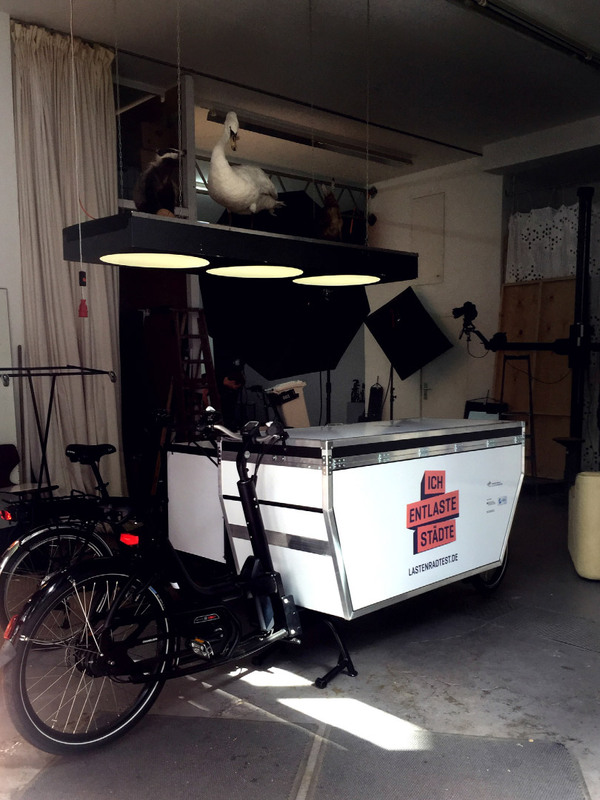 The transport requirements vary as much as the ideal cargo bike. The responsive website presents various models in detail, provides information about the project, shows success stories, connects with the community and offers opportunities for participation. 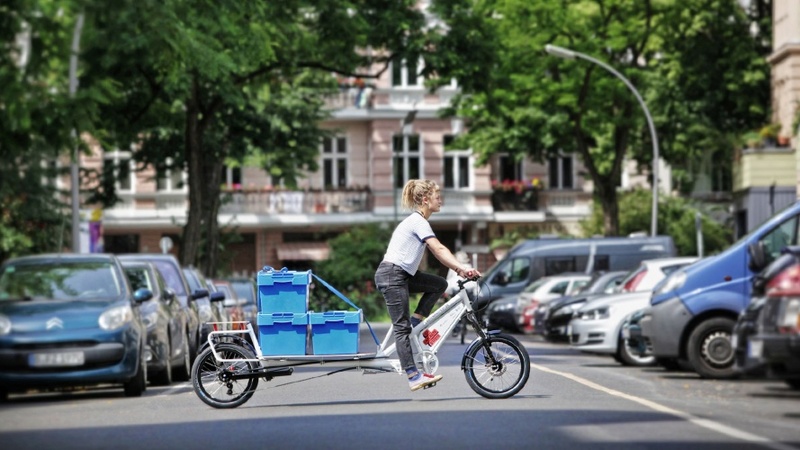 Would you like to transport something in a fast and eco friendly way? 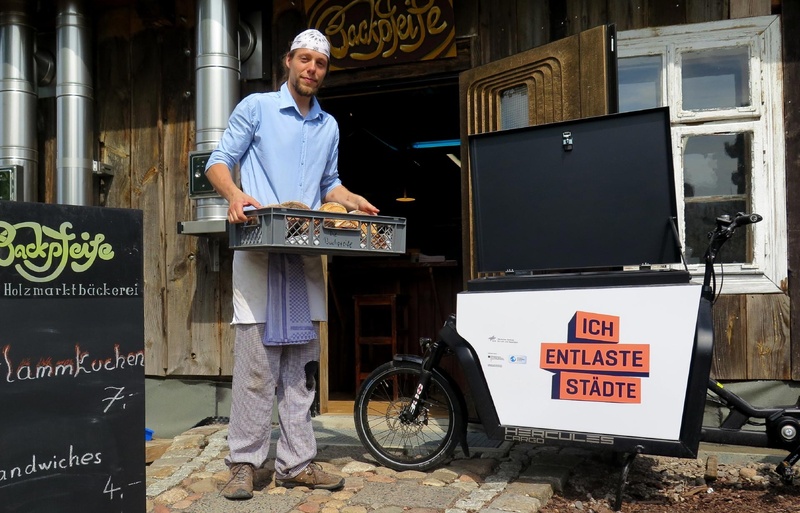 Whether start-up, master baker or member of the German Bundestag: Every electric cargo bike stands for its own environmentally friendly success story. Be inspired by young entrepreneurs, experienced entrepreneurs and enthusiastic climate protectors! Realgestalt’s services for this project: Brand Strategy, Concept, Naming, Text, Brand Design, Editorial Design, Web Concept, and Website Production. With 17 different models and 150 test wheels, hundreds of companies and public institutions are currently giving practical impulses for an environmentally friendly relocation of traffic in a practical test. At the same time, the project is scientifically monitored and evaluated. 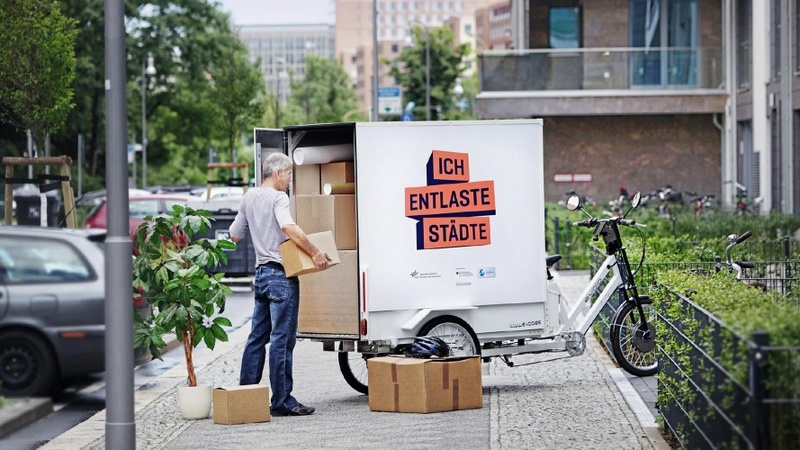 Ambitious climate protection goals and increasing traffic volumes in urban freight transport make the development and testing of new supply concepts on the “last mile” necessary. With cargo bikes, a considerable part of inner-city trade can be handled quietly and in an environmentally friendly manner. The electrification of these transport vehicles opens up further potential. 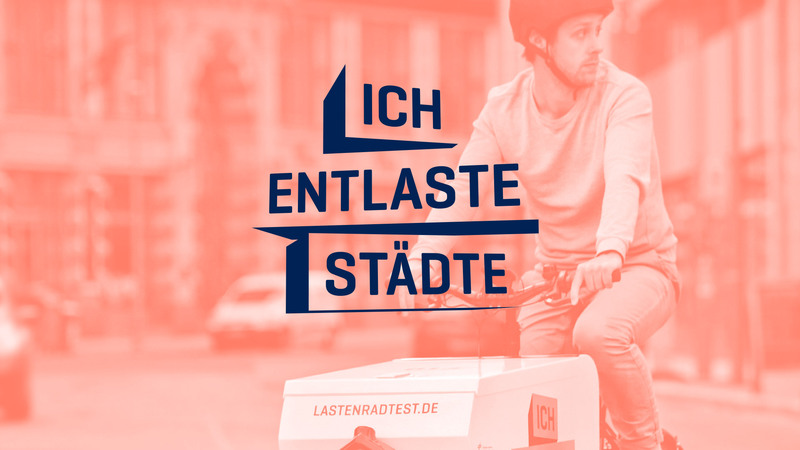 This is proven by the results of the previous project “I replace a car”, where from 2012 to 2014 courier service providers throughout Germany were offered electric cargo bikes for testing. 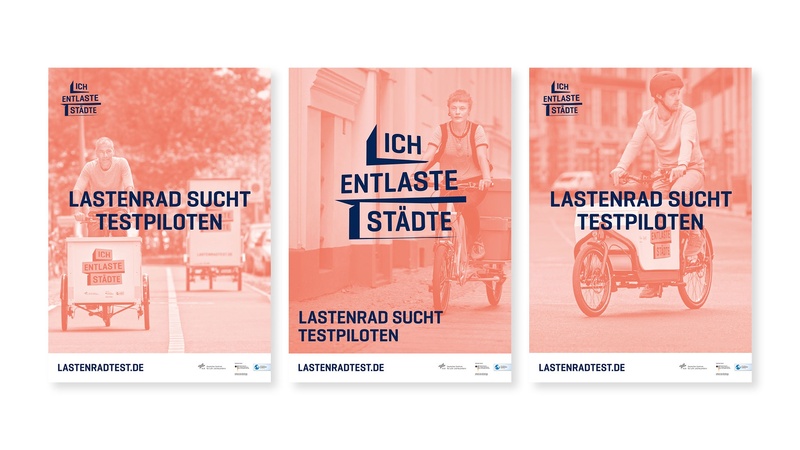 (Claim and design for this project from the Berlin-based branding agency Realgestalt.) 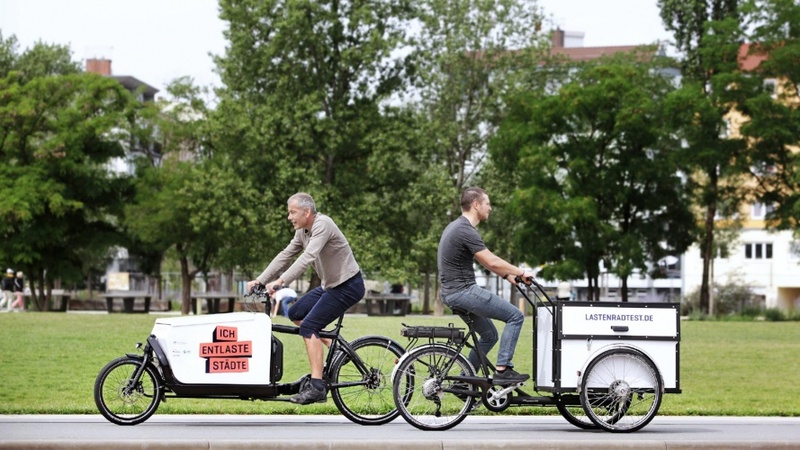 The fleet trial with 40 cargo bikes at eight courier centers has shown: Around 42% of the orders normally carried out by vehicles with internal combustion engines and 19% of the resulting mileage can be realized by electric cargo bikes. Ein großes “O” in Deutschlands Nationalfarben wird zum prägnanten Erkennungszeichen des Deutschen Olympischen Sportbunds (DOSB).